Paddle Expeditions to Quetico, Woodland Caribou, Wabakimi Parks and More! With our thousands of Canadian Shield lakes and endless Boreal forest, Sunset Country in Ontario is right there near the top of the list for wilderness canoeing, kayaking - all forms of paddling. Here you will enjoy the beauty of nature as you paddle from lake to lake in your canoe, your kayak or on a SUP. Enjoy excellent fishing and some great remote campsites along your route. Sunset Country is the ideal location for paddlers whether you are just starting out or you have years of experience. The bonus up here is endless tracts of flatwater, interspersed with the occasional whitewater stretch. We highly recommend the use of a qualified outfitter, who can help you plan the best route, ensure someone is looking out for your return and supply your paddling group with all the equipment you'll need. You can also go on a DIY trip but remember that these are big wilderness regions you'll be paddling in with few people along the way so if you go this route, plan carefully. 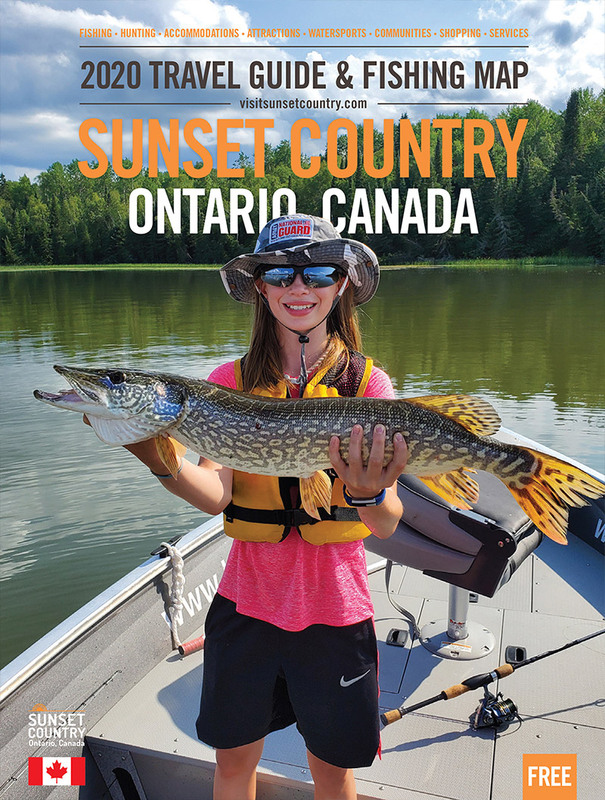 You can paddle any of the lakes and rivers in Northwestern Ontario but here are few destinations within Sunset Country that we'd like to highlight. With over 2,000 kilometers of routes, Woodland Caribou Provincial Park is located east of Red Lake, Ontario, where the primary access points originate. A paddling trip to this park is a surreal experience with history painted on the rock walls and fishing opportunities second to none. Covering an area of more than 500,000 acres, there are certainly lots of places to see. You can learn more about Woodland Caribou Provincial Park here. Probably the best-known paddling destination in Sunset Country, Quetico Provincial Park has long been on the bucket list of serious canoeists. Also covering an area exceeding 500,000 acres, the park's 2,000 lakes offer variety and beauty and all the lake are relatively accessible. See magnificent waterfalls, virgin white pine trees over a century old and lots of wildlife of course. For more information about Quetico Provincial Park go here. 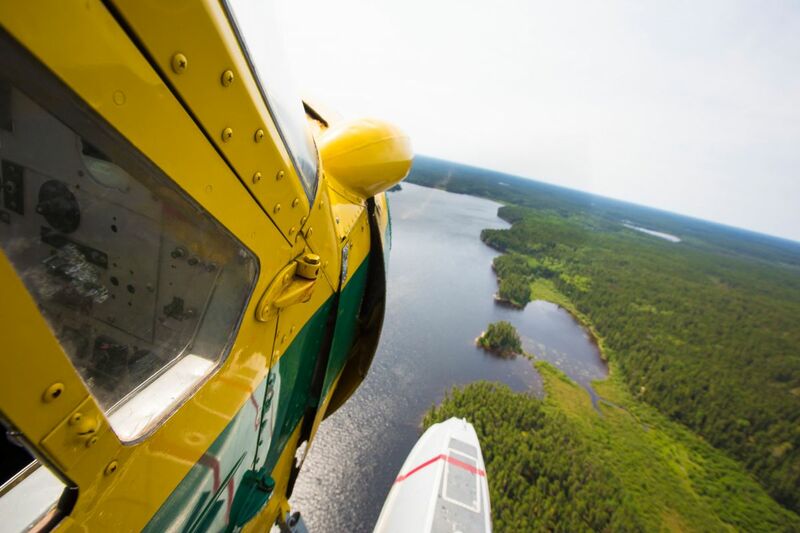 One of the largest wilderness-class parks in Ontario, Wabakimi is larger than life at over 1,000,000 acres. There are around 2,000 kilometers of canoe routes to choose from so you could paddle this park for several years and never see the same spot twice. 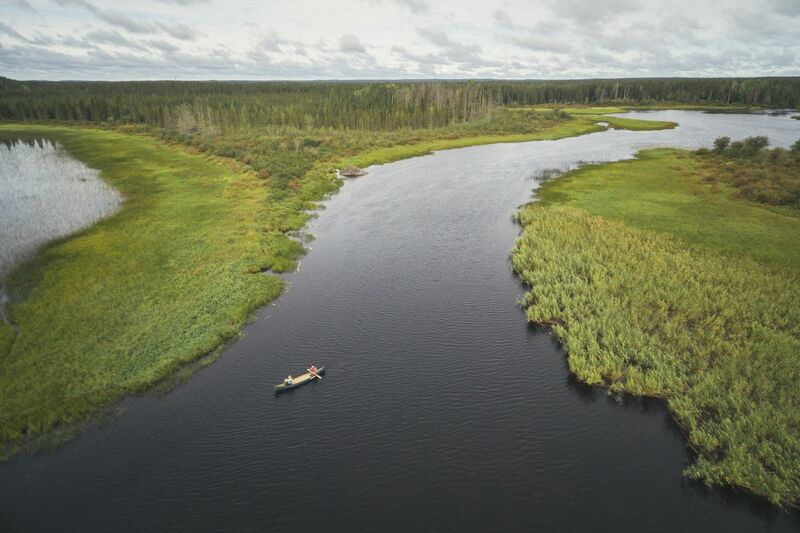 Fishing opportunities abound and for those who like to challenge their skills, Wabakimi has some really interesting whitewater for you to consider. Learn more about Wabakimi Provincial Park here. There are literally dozens of other destinations you could go to. To see all the options, check out the Ontario Parks - Parks Locator tool. Another good source of information is the Canadian Canoe Routes page for Northwestern Ontario. Request a copy of our Travel Guide and Map - it's free! We're located near Atikokan on the Seine River Chain of Lakes. We offer both AP and HK packages as well as canoe outfitting for those venturing in to Quetico. Fish for bass, walleye, crappie, northern pike and lake trout! Click here for info on our fishing packages. Fly or boat in to Viking Island and experience what Canadian fishing was meant to be! Fish for walleye, northern pike and lake trout. Access Douglas Lake and 9 adjacent lakes.